If your practice involves interacting with the Social Security Administration, you know how difficult it can be to secure disability benefits on behalf of clients. In fact, over 2/3 of applicants are denied. So you never want to go into an ALJ hearing unprepared to use every tool and argument at your disposal. Learn more with this on-demand webinar loaded with tips, tools and tactics to succeed in SSDI matters. Your presenter will discuss things you can do that can lead to a favorable ruling at a hearing. And he’ll explain misconceptions about the appeals process. Social Security Disability: How to Succeed at the ALJ Hearing — is just $107. 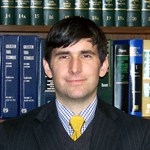 Chris Gentry began practicing law at The McMahan Law Firm in 2006. He is licensed to practice law in both Tennessee and Georgia, and is admitted to the United States District Court for the Eastern District of Tennessee. He is also a member of the Chattanooga Bar Association, Tennessee Trial Lawyers Association, and National Organization for Social Security Claimant’s Representatives. Mr. Gentry specializes in civil litigation, including motor vehicle accidents, workers’ compensation and premises liability. In the past few years, he has handled the majority of The McMahan Law Firm’s Social Security Disability Insurance cases. He represents claimants in hundreds of disability hearings a year in Tennessee, Georgia, and Alabama. Within a single calendar year, his work results in disabled persons receiving millions of dollars in benefits.